A mouse and a frog lived on a side of a pond. They were close friends and spent most of the time together. They did not bear the separation of each other even for a few minutes. 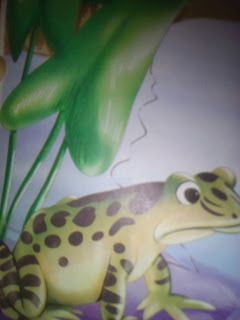 When the mouse went in search of food the frog felt sad in loneliness and he missed his friend. In the same way when frog went in pond the mouse missed his presence. They which they could live together forever. One day an idea stroke them that to tie each other with a rope. In this way nobody will be able to apart us. As this idea came to their mind they took a rope and the frog tied one end of the rope with his own leg and the other end with the mouse's foot. After doing this their problem was solved. Now both of the friends were happy. The one who missed the other held the rope and pulled towards him. In this way the friend on the other end of the rope knew that he was being missed.One day the frog went down into the deep water of the pond in search of food. But he totally forgot that one of his feet was tied to the foot of mouse with the rope. Due to the depth the rope stretched more and resultantly the mouse also fell down into the water. But the mouse did not know how to swim. As he fell into the water, he dived and in no time he drowned and left his companion forever. 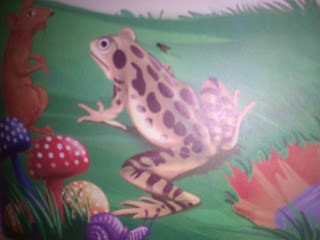 When the frog thought that his foot was tied to the mouse's foot with a rope he immediately felt for his friend. He knew that the mouse did not know swimming. Immediately the frog came out of water but till that time the mouse had died. The frog become sad by seeing the dead mouse and started weeping bitterly. Suddenly a vulture appeared there in search of food. The dead mouse arouses his hunger. He dived downed and flew away by catching the dead mouse. But after reaching on some height the vulture got so excited by seeing that he had got a frog too. After that the vulture enjoyed the feast sitting on a hill and flew afterward. In this way both the friends met their death due to their foolishness. Moral story: The foolish friend can cause harm.